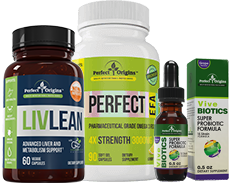 Perfect Origins wants you to be completely and perfectly satisfied, and that is why we offer a 60-day money back guarantee from the date you ordered your product(s). We'd love to know why you didn't like it, but only if you are willing to tell us. Otherwise, it's 100% satisfaction guaranteed return. Return the empty and unused portion of your product, the original invoice that came with your product (if you don't have that please indicate the date you purchased your product so we can attempt to look it up) and your RMA#. Returning the product without complying with the Company Refund Policy will result in loss of refund. It usually takes a week to process your package and could take up to another 10-14 business days (excluding holidays and weekends) for your refund to be processed. Please allow an additional 3-5 business days for a bank (debit card) or credit card company to refund to your card or bank account (debit card).